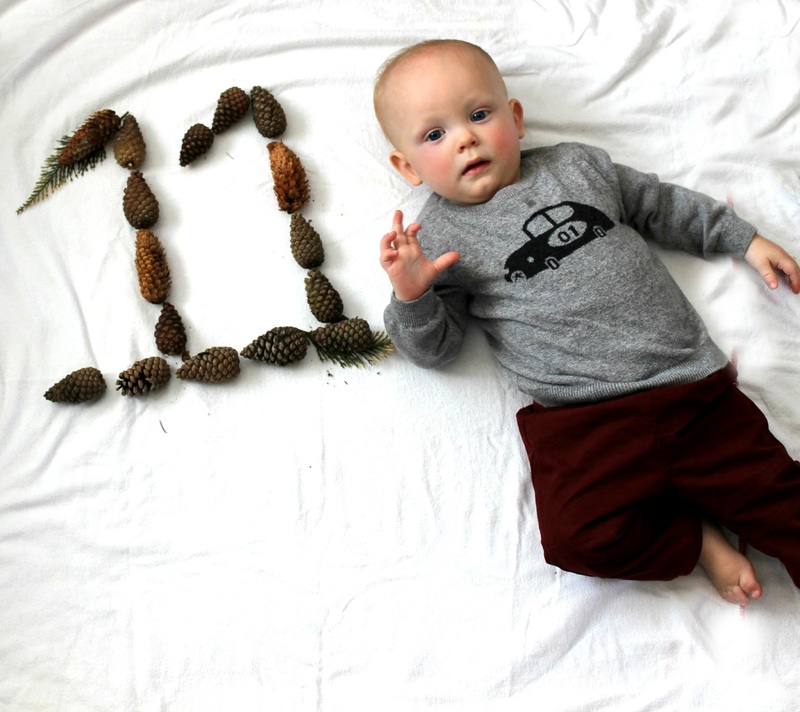 Only one month until my baby is a one-year-old! Stop it! He is still such a little baby to me and I adore him. He is so sweet these days and I have so many heart swelling moments with him. Don't get me wrong, he is still exhausting, he doesn't sleep well AT ALL and is in a clingy stage but he makes up for it in scrunched up face smiles and open mouthed kisses. He is the speediest crawler I've ever seen. Why is babies crawling as fast as they possibly can the cutest thing in the entire world. I seriously love it when he jumps out of my arms, puts his head down and moves his arms and legs as fast as they will take him to whatever his object of affection at the time is. Ok, so I know not everyone will believe me but Patrick is incapable of sleep training. He is un-trainable. We have been sleep training for over a month. I have read every book and method, I don't rock or feed him to sleep anymore, I've tried having Ben putting him to sleep, and we have him cry himself to sleep in an effort for him to learn how to put himself back to sleep everytime. He still cries for long periods of time before falling asleep, he still wakes up 4+ times a night and he only takes about 30 minute naps. So, since I felt like I was being so negative about the sleep thing and him, I've just accepted that I probably won't get a good sleep until I wean him and hopefully then he will be able to sleep better. My favorite thing he does right now is he loves when any of us sing and joins in and 'sings' (yells) along with us. He especially loves the Little Mermaid song. Can stand and climb and cruise but shows no desire to walk. A mommy's boy and doesn't really go to anyone else besides Ben and I. whoops again. Getting a little better in his carseat unless it's longer than about two minutes HA! Loves to be outside, no fear of grass, dirt, woodchips etc. He is completley off baby food and pouches, won't even take one bite. Kind of a bummer becasue piuches are so conveinent and filling and I have to be more aware of his meals and amking sure he is getting enough vegetables, protein etc. Favorite foods are pasta, rice and black beans. A very impulsive grabber, leaper. Can turn himself around and go down stairs and even off our high bed by rapelling himself down by holding on to the duvet and slowly lowering himself. Screamer. So loud. In a happy way. Especially when I turn on the bath, he loses it. Adores Everett. Follows him everywhere. I really can't believe he is going to be a year in a month. He is the best little buddy and makes us so happy. ^^^^My brother thinks he looks like Walter Fisk from Daredevil. He's not wrong. ^^^^Got into my lipstick and knew just what to do with it.